REDDING, Calif. – Two U.S. Army ROTC cadets enrolled at Simpson University have been selected to attend Cultural Immersion Program (CULP) trips as part of an Army program to expand the horizons and experiences of future officers in training. Sophomores Sarah Moores and Nathan Polk will be traveling for one month during the summer through the fully funded program. This will be the students’ first trip out of the country. 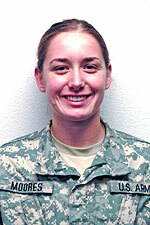 Moores, from Sequim, Wash., is going to Tanzania with a group from the United States Military Academy at West Point, where she will give foreign aid to, and interact with, local civilians. Polk, from Orofino, Idaho, is going to China with ROTC cadets from across the nation to teach English and interact with the civilian population. CULP was created in order to give future officers a chance to learn about the cultures, languages, and people of foreign countries. Hundreds of cadets from ROTC and West Point travel around the world during the summer to interact with host nations in hopes of expanding cultural awareness and developing an appreciation for cultural differences. 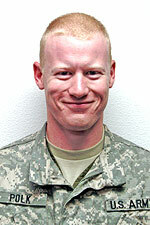 Maj. Walling said the opportunity that Moores and Polk were offered carries no obligation other than to return with a unique experience to draw on as future officers.